Get ready to celebrate Fourth of July 2018 in the Bay Area! 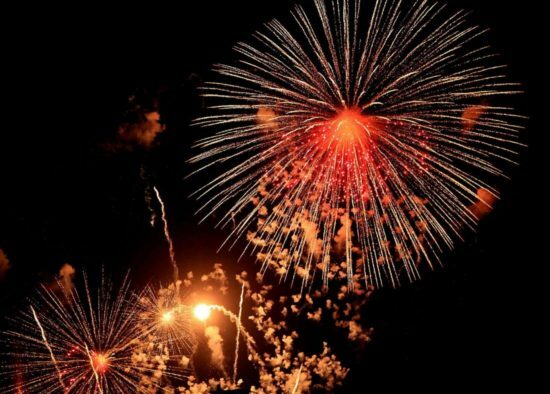 Here’s a list of over 100 different Fourth of July events (including 57 different fireworks shows within a few hours drive) with listings for the major fireworks shows in San Francisco, Berkeley, Mountain View and San Jose, plus tons of smaller hometown festivals, fairs and fireworks shows throughout the Bay Area and a few fun road trips. You can also legally buy fireworks in a few towns like Pacifica, San Bruno, Petaluma and Union City. >>Did we miss an event? Please let us know! Fireworks, fairs, festivals, parades, concerts and more. All events take place on Wednesday, July 4, 2018 unless otherwise noted. Fireworks shows denoted in blue. Our Disclaimer: We have done our best to confirm the details of each of the above events with at least one source (either the city itself, a newspaper, chamber of commerce, or a trusty website). But because there is always a rare chance that we have been given incorrect information, we do recommend you contact the city directly to confirm details before you head out to any event. Did we miss an event? Please let us know!